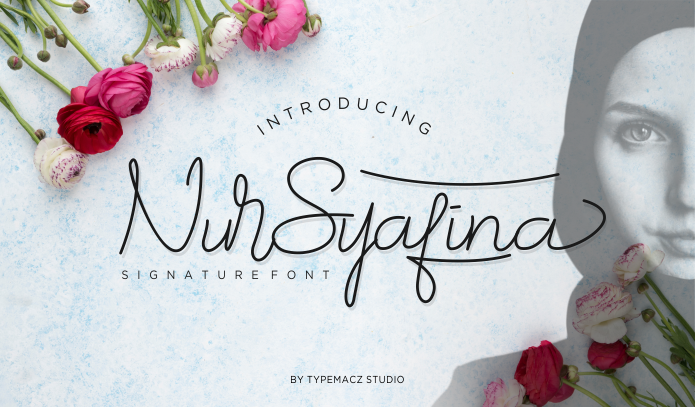 NurSyafina font is a Signature Script font. NurSyafina is the Name of my Wife. This font inspiring from her. and some of advertising display such as a movie poster.